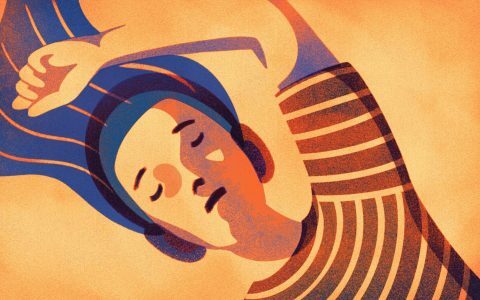 Measuring a dab can be a daunting task to anybody who is inexperienced with cannabis concentrates. 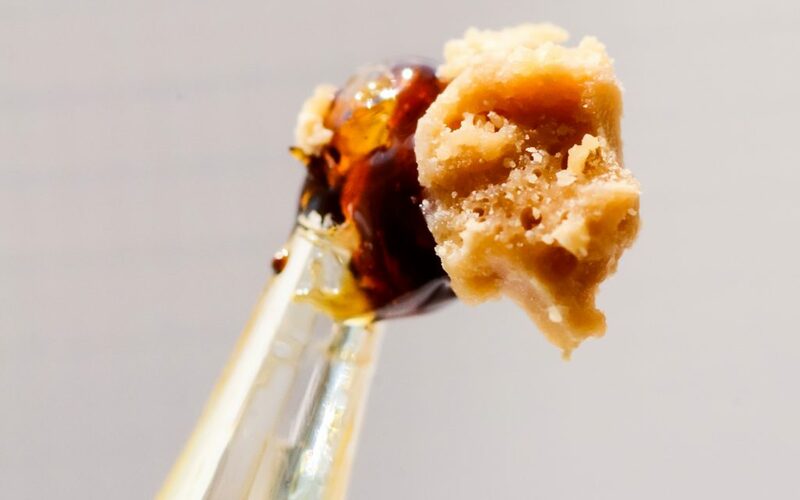 Be it a wax, shatter, sap, or anything in between, most hash oils are served up in one gram and/or half gram portions. 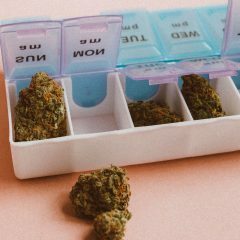 Their coin envelops and plastic containers may contain cannabinoid profiles at best, but there are no directions for usage, let alone dosage recommendations of any kind. When dabbing, there are no universal tools for measurement, and seldom do dabber tools suffice in pointing to the direction of a sufficient dab size. For newcomers, the saying, “Start with a small dab” doesn’t help much when most whole samples are less than the size of a quarter. 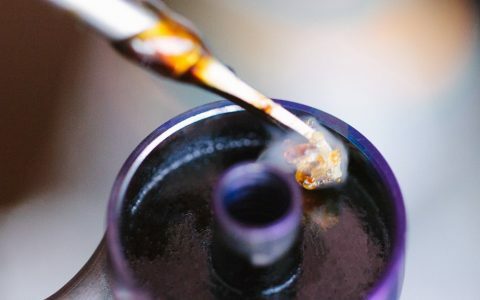 Fortunately, there are a few tricks to better understand the dosage of your dab, as well as a couple of techniques you can utilize to give you a more accurate understanding of the strength of your concentrates. Most markets are required to add, at the very least, some cannabinoid information on their concentrate packaging. On the more liberal end of that spectrum are products containing key cannabinoid markers and, in some cases, a basic terpenoid profile. 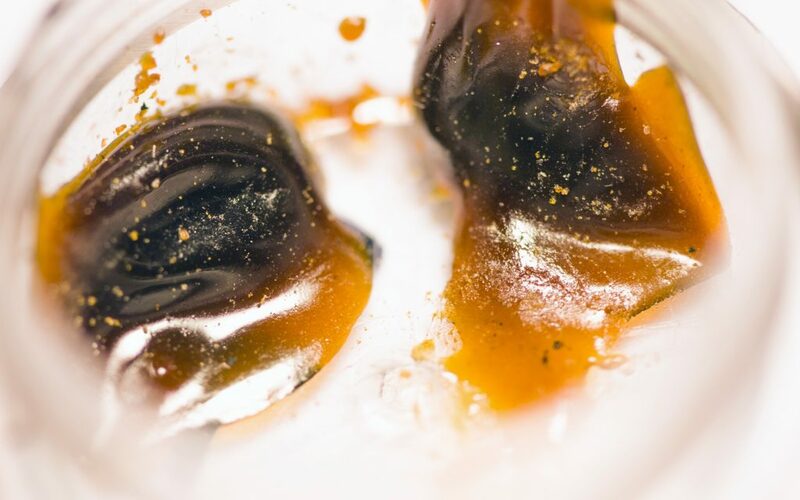 A majority of hash oil products will contain at the very least total THC content, with certain products going a step further to indicate the ratio of THCA to THC. This will give you a general indicator as to how potent your hash oil is. Potency is broken down into a percentage. 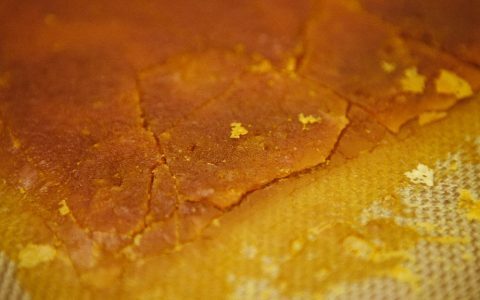 Most solvent-based hash oils will land in the range of 60-90% total cannabinoids, with a few special examples exceeding 90%. 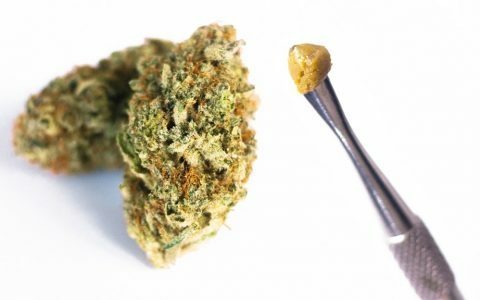 The potency of some solventless concentrates may fall below 50% total cannabinoids, but the majority of all hashish products will fit into this potency range. 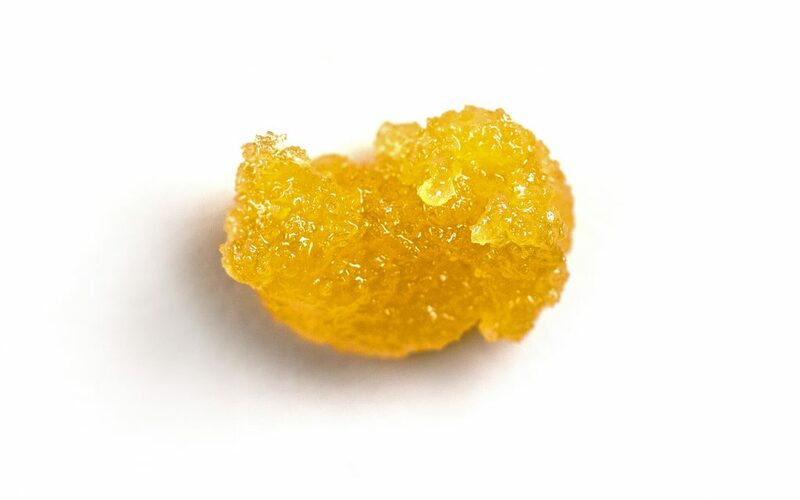 Let’s use an example of a one-gram sample hash oil that contains 80% total THC. That one gram will contain 800mg of total cannabinoids. For reference, the recommended starting dosage for an edible is between 5-10%. This should be an indicator that dabbing is not for those who are new to consuming cannabis. Obtaining a 5mg dab from a freeform sample of hash oil in any consistency is next to impossible. 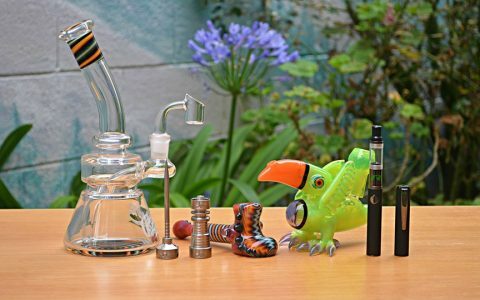 Dabber tools come in a myriad of shapes and sizes. There is absolutely no standard for a collection tool when it comes to dosing concentrates, so choosing the right tool for the job will come down to a few factors, an important one being handleability. If you can only choose one tool, pick one with versatility in handling different concentrate consistencies. 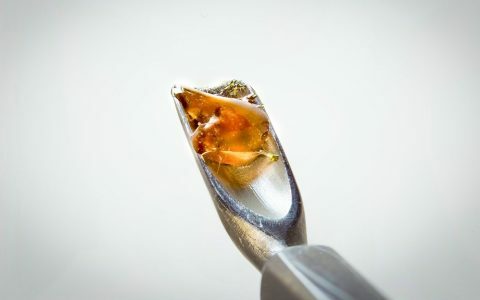 For instance, a pointed dabber tool is not going to be effective in portioning a sap or high terpene, full-spectrum extract. Conversely, a scooper tool isn’t the best option for somebody trying to tackle the monumentally frustrating act of breaking apart shatter (cue searching around a carpet for rogue shards). Dabber tools with broad tips, like paddle dabbers or various shapes, are versatile enough to handle most consistencies. Let’s refer back to our aforementioned one-gram sample. At 80% total THC, your gram will contain around 800mg of cannabinoids (assuming there are no other cannabinoid markers present). If you took your gram and split it into eight portions as evenly as you could, you would be left with eight 100mg portions. 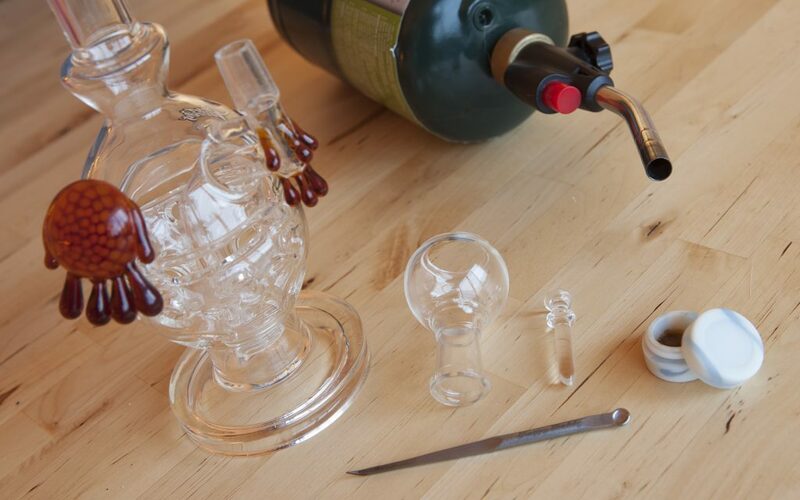 Granted, this procedure is much easier to achieve with some hash oil consistencies than others. Shatters portion relatively easily if you heat up your dabber tool and use it to slice through your sample like a hot butter knife. Waxes and crumbles may be a bit harder to handle. 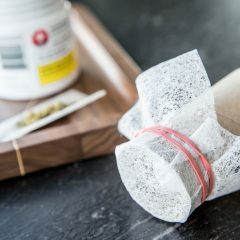 This technique helps to give your naked eye a better grasp for your cannabinoid dosage by reducing the guesswork down to a more manageable quantity. Pulling a 25mg dab off of an 800mg slab of shatter is much tougher than pulling one from a 100mg piece. For reference, a 25mg dab at the ratio of 80% total THC typically comes in about the size of a Dippin’ Dot, or a single piece of couscous. This will change depending on the potency of your sample, which is why reading the label is always the first thing you want to do before portioning. If portioning seems like too much work, you may want to consider pre-portioned options such as vaporizer cartridges. 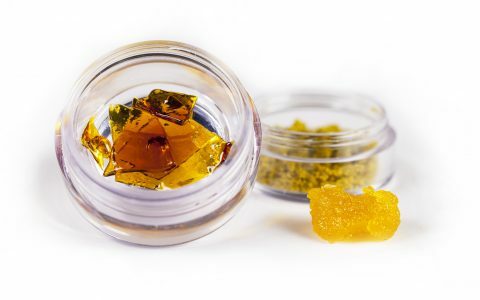 These products take much of the guesswork out of dosing hash oils by offering them in a more manageable delivery vehicle. Cartridges are a fantastic way of dosing a quick dab without having to overcomplicate the work by offering a “one hit=one dose” option. 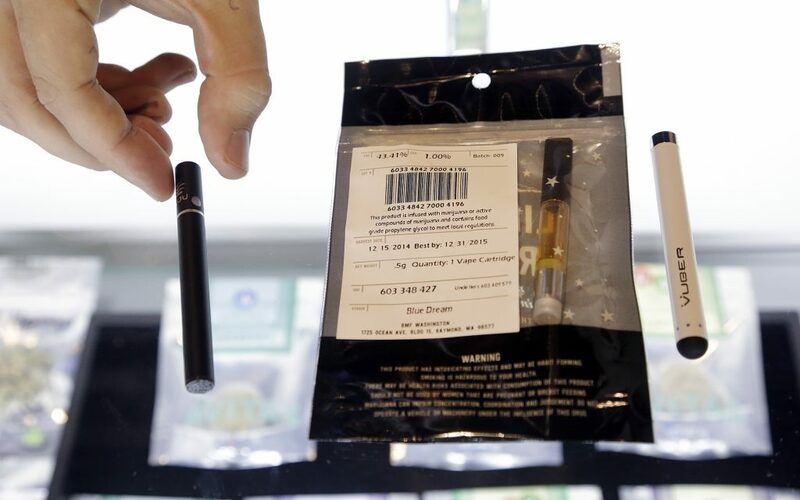 Unlike dabbing free-form hash oil, cartridges minimize the risk of overconsumption in a single pull. 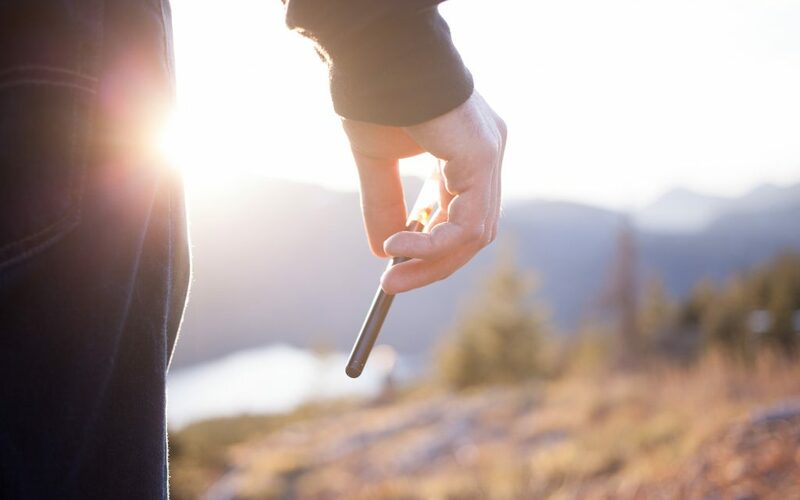 You can still use cartridges to experiences higher doses of cannabinoids, though it will require multiple pulls that will each force you to make the autonomous choice to continue incrementally. Many cartridge manufactures can also give you an estimated maximum number of hits that their units will give. Dividing the milligram content of your cartridge by the estimated number of hits that the unit will allow before it’s depleted will land you a rough estimate of how potent your pulls will be. 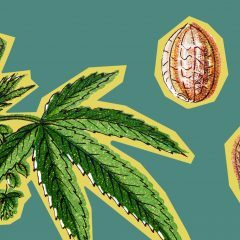 It’s important to understand that different ratios of cannabinoids will affect everyone uniquely. A 25mg dab of THC is not guaranteed to give you and your friends the same psychoactive effects. Our endocannabinoid systems all operate differently, and each individual will experience a variance in how their systems uptake cannabinoids. The best way to find out what dose works for you is to start small and work your way up. Don’t be afraid to take the smallest dab that your tool will allow you to load and to use that as a reference point. 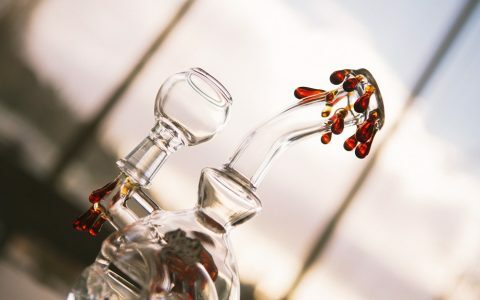 Like wine tasting, micro-dabbing has a world of benefits, such as affording you the opportunity to take another dose if you desire. Try to find a dab size that works for you and apply your preference consistently. This way, your only dosage variable will be in the total cannabinoid content of whatever sample you’re consuming. And remember, you can always go back for more. Why not do what the name ‘dab’ really implies? A friend of mine found a neat way to take just the right amount by, literally, dabbing a heated quartz-crystal tube into his wax/shatter. Often a couple light touches to the wax is more than enough and, most importantly, there’s no waste. I put my shatter is in a silicon ‘slick’ and it doesn’t burn –DO NOT USE the plastic containers some dispensaries sell their wax in… transfer the product to a silicon or glass container before dabbing so you don’t smoke plastic! 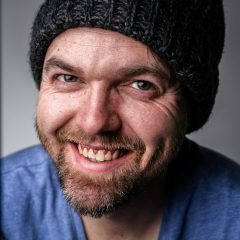 I like the thinner slicks, as they can be bent and mashed up a little to get the melted wax to stick with itself after being smeared around from being smoked… did that make sense?? I’ve found that just a 10ml glass pipette and a propane torch (much cheaper than a butane torch and achieves the same effect) work perfectly. Waoh! It Sean to me that pot heads are in a race to find the next evolution of marijuana. That is not good for legalization. The more “created “this pot heads get the more reason for the DEA have to stop legalization. Stop trying to create, your goal to create will destroy the progress make on legalization. It do not help anyone having pot heads leading this movement. There have been no deads directly cause by marijuana yet, keep messing around and we will see how marijuana will have to go underground again. Over all you can only get high to you on personal limits. The standard marijuana Will do the trick. The dogs in the DEA take their orders from the Administration… the Obama administration tells them to prosecute or not. Secondly, I’m not for legalization… I’m for decriminalization. Legalization just means the government can legally tax it; like how they tax alcohol and tobacco. I have a feeling that once the Fed legalizes marijuana the ATF will become the ATFM. Thats fine but there are SOME people with asthma, emphysema and others that simply messes up their throat and lungs very bad and cant smoke the flower, then children with epilepsy cant smoke at all. For those people concentrates are the only from they can use. Here is some of the down sides of smoking the flower. 1. Snoldering herb creates carbon monoxide. 3. Smoking you inhale burned chlorophyll. This is irritating to the lungs and throat. Such as my case. I have asthma. Have to cough and cant take a decent hit. 5. You also inhale combusted alkaloids. Another thing causes distress to throat and lungs. I always get concentrates when i can. When i cant i get buds and make my own concentrates. In the past i made and vaped ISO hash oil (extracted with 99-% Isopropol) this year will press Rosin abd get the rest with 99% ISO. The ISO hash oil will be used topically abd in pain creams. 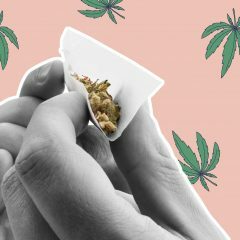 I think the article meant to say “That one gram will contain 800mg of total cannabinoids. For reference, the recommended starting dosage for an edible is between 5-10mg” – As it is written is says %. Looked for the author on social media to direct message and could not find him. Just looking to clarify for those looking to learn from this. Super interesting. Clearly there is a need to ensure the quality, purity, and dosages of the product. Are you more or less in favor of government regulation to enforce these concerns? I have gotten concentrates much higher than 80% cannabinoids. Sonetines in the 92-94% purity according to testing. The way i used to get the right amount was uding a wax atomizer on an eCig mod and conttolling the hit by adjusting the wattage up or down. To be honest most wax atomizers are NOT wortg bringing home. In these the medicine tastes burnt. Botg of these use ceramic donut technology. A coil heats the donut, and the warm donut vaporizes the concentrate. It provides a terpene rich flavor. 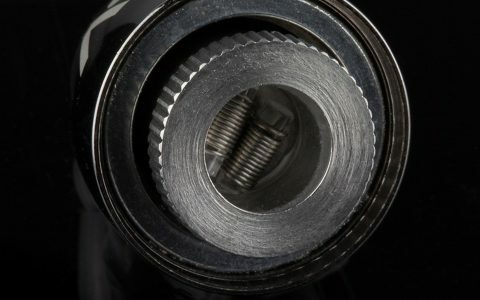 The coils on the X Vape V One are replaceable. Virtually all wax atomizers cause splatter. A friend gathers it up with a small dab tool and puts it back in the chamber. That hss already been heated bd destroyed most or all of the terpene profile. I soak the dome in grain alcohol to dissolve the cannabinoids then use the tincture in edibles. What you are missing when comparing edibles to dabs is that when you consume edibles only about 1/10 of the total THC listed on the label is going to get into your system through digestion, that’s what they fail to tell you about edibles, some state 1/3 gets metabolized while other sources state closer to 1/10th. So eating a 100mg edible you are taking about a 10-30mg dose of THC after it converts and metabolizes in your body.